This post is the third in a series on applying the physics concept of center of gravity to character design. In the previous post in this series, we looked at using action poses to help find a center of gravity that would prevent the character from tipping over. For a quadruped (four-legged creature), the base of support is quite large, making it easier for it to balance than a biped (two-legged character). If a biped character has a cane or places a hand on the ground, this acts as an extra “leg” to create a larger base of support. The center of gravity for creatures with more than two supports. 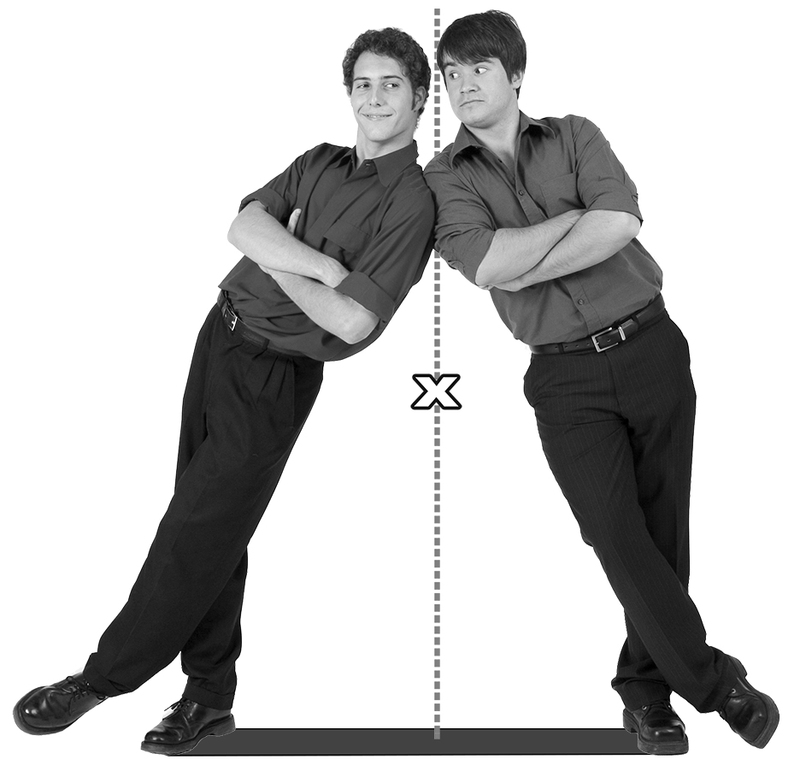 When two people are leaning or holding on to one another, the center of gravity is at the point of average distribution for their total weight. The base of support spans the area between the contact each of them has with the ground or floor. Utilizing the center of gravity, line of gravity, center of pressure, and base of support will help you determine whether a character is in balance for any kind of pose. These tools will also help you keep the weight distribution consistent in poses and animation. In the next post, you’ll learn more about testing the center of gravity with poses. You can learn all about center of gravity in the Forces chapter in the Physics for Animators book. Michele Bousquet is the author of Physics for Animators. A longtime animator, teacher, and writer, Michele has written more than 20 books on computer graphics. She holds a Bachelor's Degree in Mathematics and Computer Science from McGill University.